B-AKA MAN is a stone cold shaka man. He claims to be a Death Rapper, but after witnessing a murder he might not be mentally ready to deal with mortality. The shirt and hat B-AKA MAN is wearing read “COME AT ME BRO” that’s how tough he is. It’s him verse the world. A one man wrecking crew of rhymes! BEAT BANDS’ AKA: Mark DeBonis. The man at the keyboard. 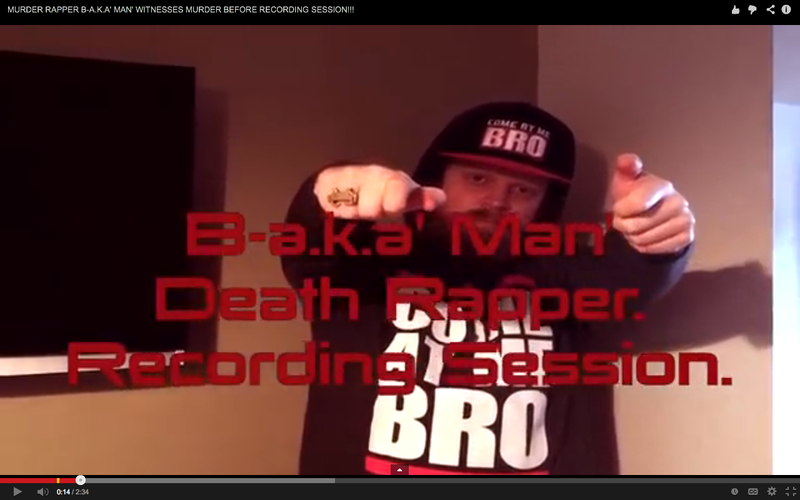 Uh.. B-AKA MAN Rap is Real! I’ll shoot you in the head…Ocean Spray. I’ll rip out your bones to make my little scones.